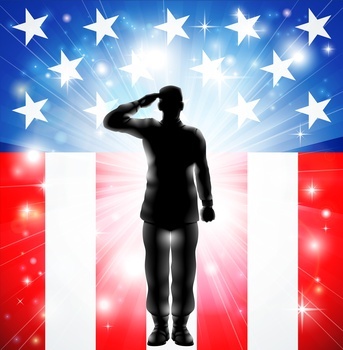 The Commissioner of Social Security recently announced that beginning in mid-March 2014, Social Security disability claims filed by Veterans who have received a 100% permanent and total disability rating from the Veterans Administration will be expedited. According to the Commissioner “under the new process, Social Security will treat these veterans’ applications as high priority and issue expedited decisions, similar to the way the agency currently handles disability claims from Wounded Warriors.” Even though a veteran’s claim may be expedited, there is still no time limit for a claim to be processed and decided. In order to expedite the Social Security disability claim, the veteran must tell the Social Security Administration that he/she has a VA disability rating of 100% and show proof of that rating. Of course, the fact that a veteran has been awarded a 100% permanent and total disability rating from the VA does not necessarily mean that he/she will be awarded Social Security disability. That said, SSR 06-03p requires that the VA’s finding of disability be considered as relevant evidence and given appropriate weight. The Ruling provides that “we are required to evaluate all the evidence in the case record that may have a bearing on our determination or decision of disability, including decisions by other governmental and nongovernmental agencies (20 CFR 404.1512(b)(5) and 416.912(b)(5)). Therefore, evidence of a disability decision by another governmental or nongovernmental agency cannot be ignored and must be considered. See also Allord v. Barnhardt, 455 F.3d 818,820 (7th Cir 2006) and Kessler v. Astrue, 2009 WL 3060220. For more information about Social Security’s new program for Veterans, click here.